We bring joy and happiness together. We provide conditions that support the well-being of the world. Santa Claus is recognized by children and adults, all in all by over 4 billion people. Santa’s friends represent Finnish Santa Claus over the world by helping the children of the world at the same time. Santa Claus is one of the most well-known character brands. With this brand we are able touch people’s emotions and benefit the well-being of the world. The aim of the Santa Claus Foundation is to improve the well-being of the children of the world. 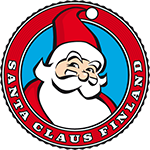 We represent the Finnish Santa Claus and maintain a strong network under a unified Christmas brand. Our partners represent the same story of the one and only true Santa Claus from Finland, Finnish santa.